You can see for yourself that the weather is slowly beginning to change. The leaves are changing colors and falling to the ground, the air is crisper in the morning and evening and the days are starting to get shorter. This means that fall is here and the winter months are not far away. All of this indicates that it is time for you to start preparing for the colder weather winter brings. This means not only dressing differently but preparing your home for the coming winter months. 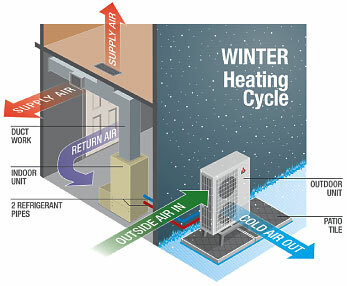 Now is a good time to get your central air and heat ready for winter with some basic steps. or below. There is nothing worse than waking up in the middle of the night or in the morning with the whole house freezing because your heating system has failed overnight. Not only will this make you cold but it can cause potential damage to the other systems in your home, allowing pipes to freeze that can potentially burst. To avoid all of this, you need to take the steps needed to get your system ready for winter. The best step you can take is to hire a professional service to come in to help prepare your heating and central air systems for the winter. An expert technician can come in and take a look at your system and see if there is any general maintenance that is required to help keep your systems running well and efficiently through the winter. This can involve making some basic adjustments, replacing worn parts, replacing any filters that need to be changed or other work that helps to improve performance and extend the life of your furnace and heating system. The steps you take now to get your home ready for the winter can go a long way in providing you with the protection and comfort you need most during the winter. 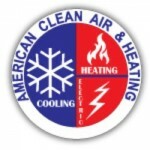 Take the time to make an appointment with a heating and cooling company so you can be sure that your system is operating well and ready to provide you with warmth for the winter.